Thomas 'Doc' Palfrey is an agent of Z5. He is also the grandson of the second head of this international intelligence organization and the son of that man's daughter, Marion, now Z5's indomitable head. If having to live up to the legacy of one of the world's greatest unsung heroes, Dr. Stanislaus Palfrey, a man who helped mankind through an incredible array of catastrophes and quietly averted twice that many from happening, it is nothing compared to being reared by a woman with such a powerful personality. Most would have been crushed under such weight for having perfection expected in every endeavour can get to anyone. Tom Palfrey, though, was not just anyone. Z5 is not just any intelligence agency, either. As described in one of the passages, Z5 "left politics to politicians, security to security forces, policing to police forces, and petty crime to the petty criminal" while it chose to focus on "megalomaniacs - terrorists, business tycoons and politicians - whose aim was to blackmail the world into dancing to their tune." To accompany this, it is set up as a non-profit trust with all money it makes going into running costs, though how it makes the money in the first place is not mentioned. Its agents, however, are largely members of their personal country's military or special police forces, seconded to Z5 as needed without strings attached. Leading Z5 is Dame Marion Palfrey, an "elegant, head-turning widow in her fifties". She is a tough minded as it comes, a necessity when she is constantly having to send her operatives into harm's way even as she must fend off governments and high-powered people who would like to ignore Z5 sovereignty for their own power plays. Just as her father before her and Z5’s founder, the Marquis of Brett, before him, she can stand up to the pressure only by never giving an inch. That severity works its way to dealing with her head-strong son. At twenty-nine at the start of the series, he had first earned a PhD in a subject very dear to him, marine biology, then chose to serve in the military with the 16 Air Assault Brigade, even when it meant tours in Afghanistan. Independent, fearless, perhaps impulsive, and determined to go his own way, he served with distinction until an attack saw shrapnel take out his left leg. Subsequently fitted with a prosthetic leg, he returned to his birth home and thought about the rest of his life. He decided that it would be as an agent with Z5. It was a decision his mother fought vigorously but if there was anyone alive with even more determination than Marion Palfrey, it was her son, ‘Doc’. Tom Palfrey is brought into Z5 as a rookie agent and his first assignment pits him against a powerful criminal who wants to create a series of earthquakes to destroy all of mankind. An Omnibus holding three novellas: Wings of Fear, Burning Night, and Deadly Sleep. See that section for details on each. Children of the ultra rich are disappearing and Z5 worries about the cause as well as wondering why a set of identical twins seemed especially important. 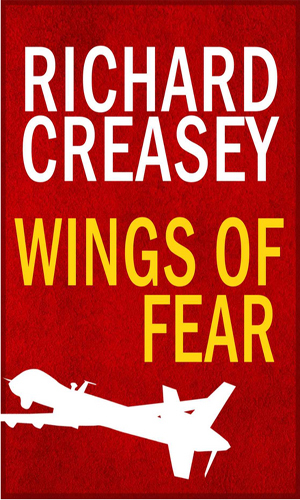 When the body of a noted scientist in the field of robotics is found, the police decide it was suicide but 'Doc' Palfrey is certain it was murder. As he investigates, he is caught in an inferno, just one of many around the world. 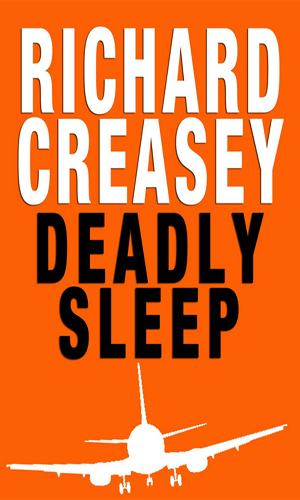 The first few people admitted into hospital suffering from sleep they cannot waken from lets 'Doc' Palfrey know that something very sinister is afoot and it likely involves a renegade scientist on the lam. 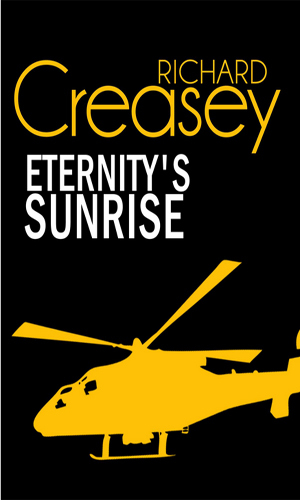 John Creasey was one of the world's most prolific writers and if his 600+ published books set a record or not, he definitely made a huge impression on this individual and, based on his terrific sales over decades, on millions of others. I started reading the Dr. Palfrey books because they were released at the same time as paperback publishers wer putting out Doc Savage and The Shadow and I was smitten with the covers. Once I started reading them, of course, I found them totally different that I was expecting and that was a tad off-putting but over the years, I came around. As a young man stationed overseas, I found an English bookstore that stocked a ton of The Baron, The Toff, Gideon, Inspector West, to name four friends from the past. And of course Dr. Palfrey. Now his son has decided to bring to the readers of this decade not his father's intrepid cloak-and-dagger warrior but his grandson and he gave this character a handicap that might have sidelined most people but proved an incentive to do more in Tom Palfrey. Of course, having a stern and severe taskmaster like his mother running the show might have proven even more of an incentive to get the heck out of the mansion but that might be just me. 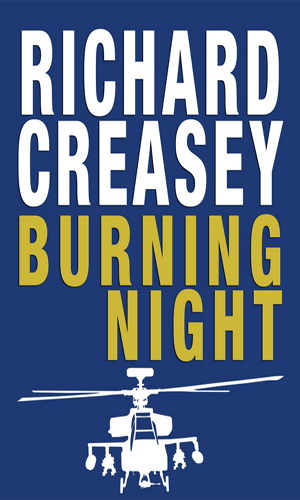 I greatly appreciate that Richard Creasey did not (my supposition) try to make his books read like his father's. 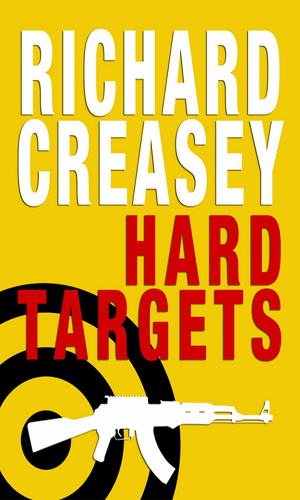 This is a new character and this is a far different time and what Richard Creasey did was give us a new man with equal determination to do good for the world.